Bessemer Municipal Court serves as the Judicial Branch to the governing body of the City of Bessemer. We’re deemed as a misdemeanor court with the primary goal and objective of dispensing justice concerning all non-felony criminal offenses which occur within the city limits of Bessemer. In addition to adjudicating criminal matters, this court manages payments for parking violations and hears matters involving city ordinance violations. Our mission is to serve the citizens of Bessemer in a professional and respectful manner, and to provide resourceful services to the community when and where needed. The purpose is to mete out fair and equal justice to individuals who appear before Bessemer Municipal Court. Bessemer Municipal Court is a high volume court operating five days a week. Court is convened on Mondays and Thursdays at 4 p.m.; Wednesdays and Fridays at 8 a.m. with Domestic Violence court commencing at 9 a.m. every Tuesday. 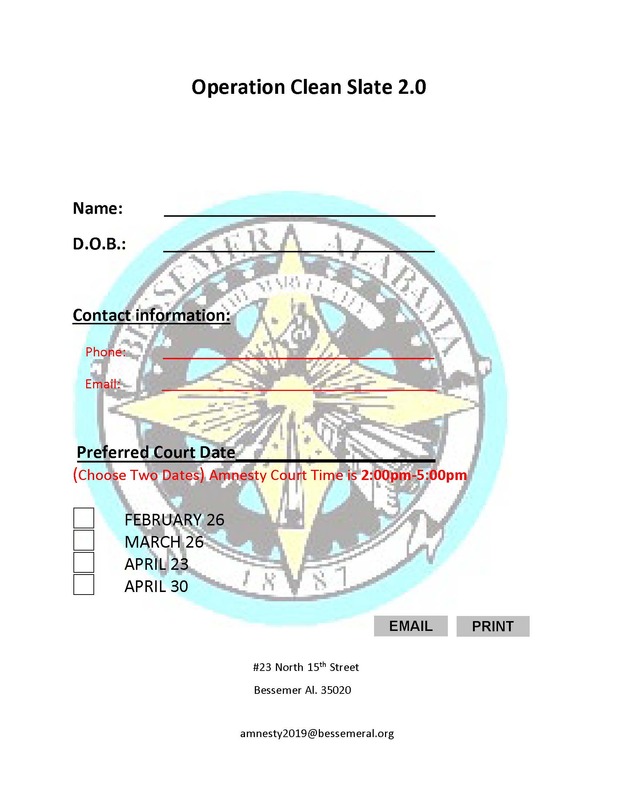 Court related questions may be directed to the Bessemer Municipal Court Clerks at 426-8602.